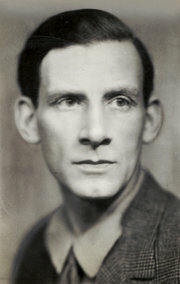 Diaries and notebooks of poet Siegfried Sassoon will be published online by the Cambridge University Library. The 23 diaries and two journals are being made public to coincide with the 100-year anniversary of the beginning of World War I. Writing in a “leather-bound notebook from a fly-speck village in northern France” Sassoon wrote “My inner life is far more real than the hideous realism of this land, the war -zone.” Cambridge University librarian Anne Jarvis calls the archive “a collection of towering importance, not just to historians, but to anyone seeking to understand the horror, bravery and futility of the First World War as experienced by those on the front lines and in the trenches.” Read more in these articles from the NYT and NPR. And check the EPL catalog for works by and about this celebrated war poet.